Address 1: W8450 Buckhorn Park Ave.
Buckhorn State Park, established in 1971, is a paradise for water recreationists, hunters, hikers, campers, and nature lovers. 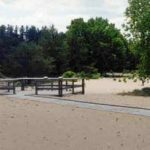 The park and two adjacent state wildlife areas cover 5,900-acres on a peninsula in the Castle Rock Flowage of the Wisconsin River and land along the Yellow River in Wisconsin’s Central Sand Plains. The park has a three-site outdoor group camp; 42 cart-in campsites, one of which is accessible for people with disabilities; 12 drive-in sites; and an accessible cabin. 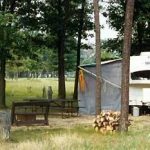 ReserveAmerica has named the Buckhorn campground one of America’s Top 100 Family campgrounds for three years. It also was listed among the top 10 romantic spots, top 25 scenic views, top 20 beaches, top 25 canoe spots, and top 15 unique cabins. 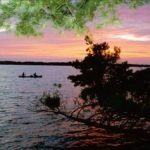 Buckhorn also has an amphitheater, two-level accessible wildlife blind, accessible fishing pier, kids’ fishing pond, and waterfowl hunting blinds. A 20-foot high observation tower is under construction, and a flush toilet/shower building is planned for the future. 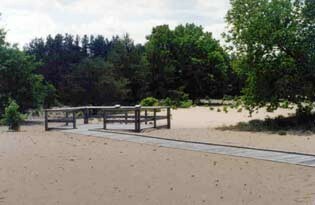 Buckhorn State Park is certified in the Travel Green Wisconsin [exit DNR] program. 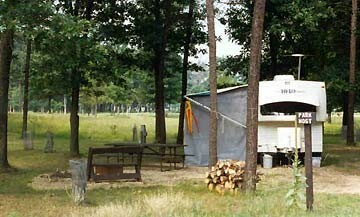 Buckhorn State Park offers a rare chance to enjoy camping in a wilderness setting. Reservations are available from May through September. Buckhorn has 42 backpack sites and one drive-in site that’s accessible for people with disabilities. 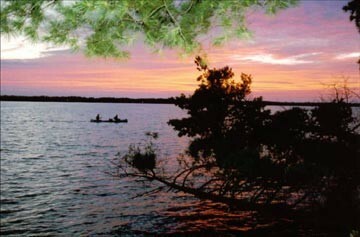 Most of our backpack campsites are secluded and near the water. You get to them by foot trail or by boat. Garden carts, to haul in your camping gear, are available for many of the sites. Toilet facilities are available at these sites, but you will need to transport your supply of drinking water. Three drive-in sites (27-29) on the shoreline can accomodate tents or hard-sided and pop-up trailers. There are also eight family campsites (A1-A8) which can accommodate tents or hard-sided and pop-up trailers. Each family site has a picnic table and campfire ring. Tthree group sites can accommodate up to 40 people each. A two-stall unisex shower/flush toilet building is planned for the future near the south shelter pit toilet building. Camping is available year round at sites 8, 9, and 16. Campers must register at the park office or use the self-registration box in the office parking lot before setting up. Site 8 has electrical hookups and is available for any camper from November through March. During the rest of the year, this site is held for people with disabilities. So, you love to camp. Ah…..the exhilaration of the outdoors, fresh air, a sense of being one with nature. 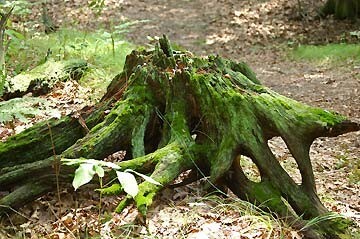 But crowded campgrounds, noise and traffic have tended to lessen your “back to nature” experience. You crave privacy, but you haven’t the equipment or stamina to try full-scale backpack camping. We’ve been listening to many campers with similar comments. Buckhorn is one of a few parks in Wisconsin to offer carts to campers at our backpack sites. These carts are available for sites 1-7, 13-15, 17-19, 26, 34-38, and 43-45. A shared cart is available for sites 10-12, 23-25, 30-33, and 39-42. This type of camping offers the best of both worlds. 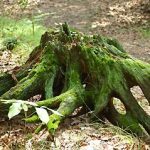 It provides the opportunity to enjoy nature in a secluded wilderness setting without the effort and weight limitations of backpack camping. No special gear is required. Campers also can get their gear to 34 sites by boat or canoe. 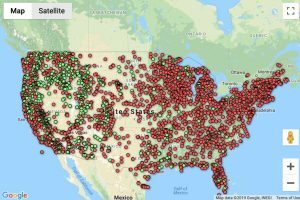 All the backpack sites are in small clusters. The individual sites are further apart than traditional campsites. Each site has a picnic table, fire ring and bench. A portable toilet is available for each cluster of sites. Most sites are reservable. Campsites 34, A5, and 99 are first-come, first-served and availability is very weather dependant. Though not required, the campsites fill on most summer weekends, so reservations are recommended. Reservations are available for group, family and backpack campsites by calling a toll-free (888) WI-PARKS or visiting the web site.